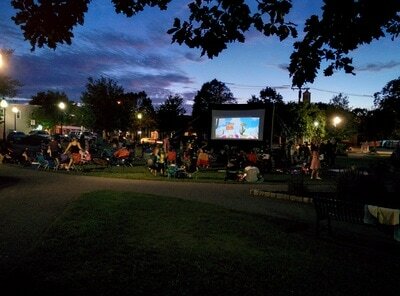 Pop-up Stoneham events are free activities located on the Town Common. 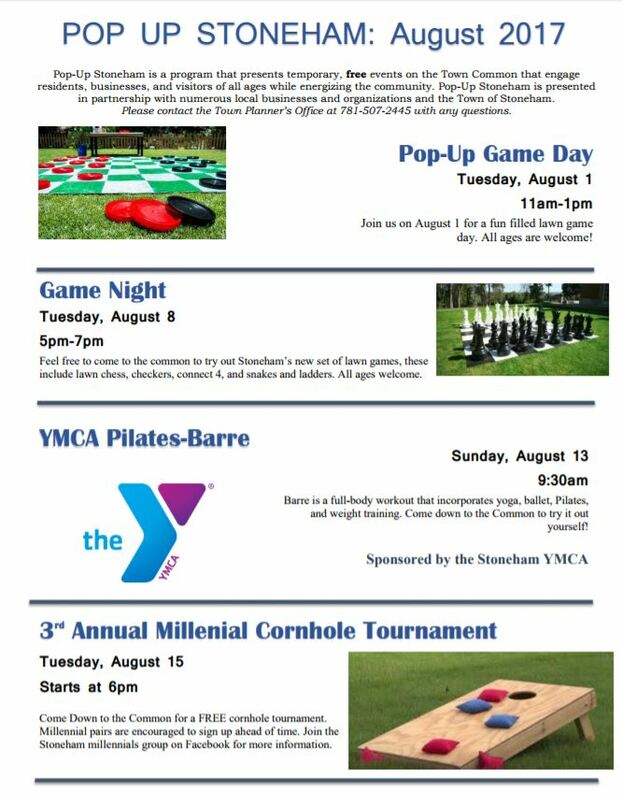 In partnership with the Stoneham Boys & Girls Club, Stoneham Recreation Department, Stoneham YMCA, Stoneham CDC, Stoneham Senior Center and local businesses, there are a variety of pop-up events for all ages. Events will run into the early fall. Join us on the Common for everything from a free movie to an Energy Barre class.